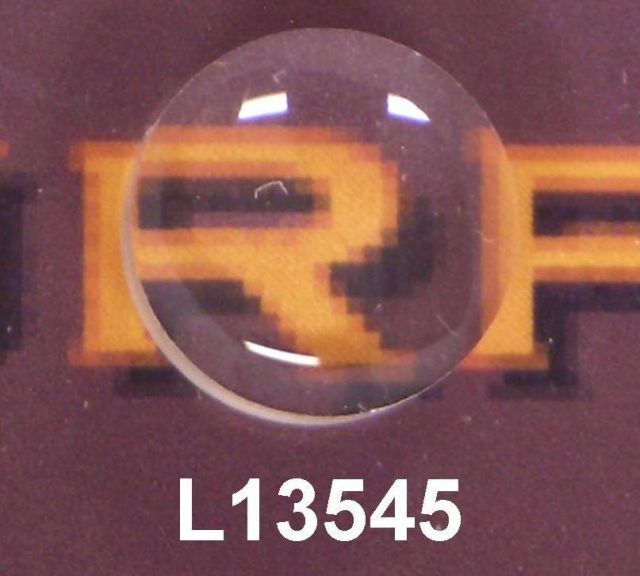 A good double convex glass lens, 7.5 mm diameter, 12 mm focal length, 3.79 mm center thickness, 2.85 mm edge thickness. Unused. Manufacturer's # 803551A. We have large quanitities of these in case you want to incorporate them into a product.